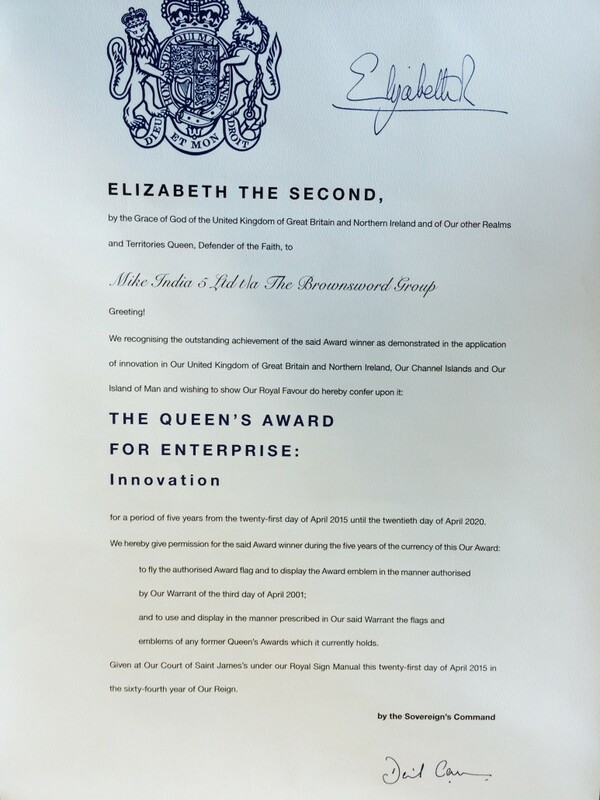 It’s been a regal time since we won the Queen’s Award for Enterprise in Innovation in April. 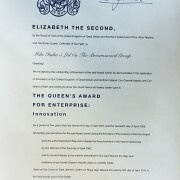 Last week The Brownsword Group’s Managing Director visited Buckingham Palace to meet the Queen and have the award officially conferred upon us. Today we were visited at our offices by two representatives from the Lord Lieutenant’s office for their official Presentation Ceremony, and were presented with a Queen’s Award crystal bowl and scroll, which we will be proud to display.